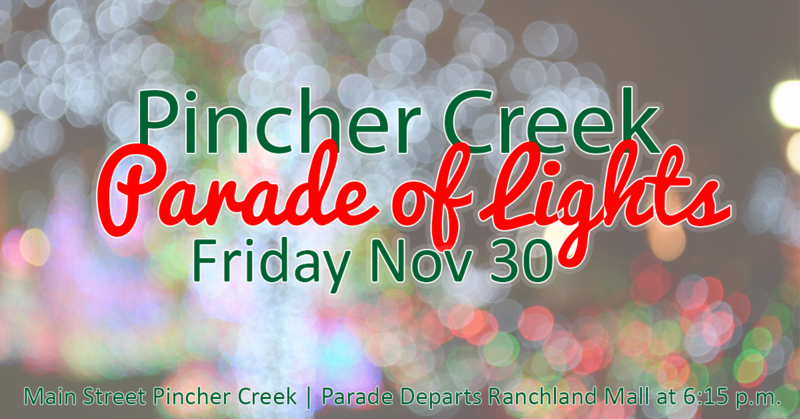 Pincher Creek's annual Parade of Lights! Join us on Main Street for the kick off to the Christmas season on November 30th! The Parade leaves Ranchland Mall at 6:15 p.m.